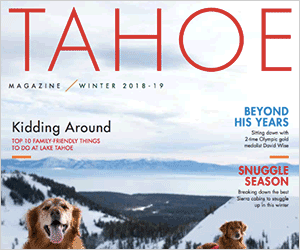 Daniel D. Heagerty’s doom and gloom opinion piece, “Risk of catastrophic fire at Lake Tahoe just got worse,” published Dec. 6, 2016, in the opinion section of the Sierra Sun is a little misleading. The position of the North Tahoe Fire Protection District is during a large fire event, residents are to shelter-in-place or be prepared to shelter-in-place, if evacuation is not needed. North Tahoe Fire Protection District covers much of the populated area along the North and West Shores of Tahoe. Significant populations are not expected to take to the roads, but shelter-in-place instead. Placer County Highway 89 north and Highway 267 north traffic problems would officially be an issue for Squaw Valley Fire Protection and Northstar Fire Protection, respectively. In summer months, there’s not much traffic from Squaw or Northstar. Conversely, during winter, gridlock is normal. Fires typically occur in times of the year besides winter. Everyone who resides within the Placer County boundary of North Tahoe Fire Protection District should be prepared to shelter-in-place. Those individuals might wisely obtain an emergency personal fire tent, known in the industry as a “shake and bake” tent. After a fire, one might initially expect to see less traffic than normal on the roads, because numbers of cars will probably have burned up while parked in driveways or roadsides.